A-Z computer asset recovery specialists work with businesses nationwide remove computer network technology no longer being used. We address corporate environmental concerns and costs associated with e-waste. We will help a company manage the retirement, recycling and disposal, valuation and reuse of used computer equipment. Whether you're disposing of used computer equipment either for end-of-life recycling or for reuse, removing sensitive data, is must! Our company works with recyclers throughout the United States that provide data security services by destroying hard drives or by using a disk cleaning software utility that overwrites data so that it is unrecoverable. We work with over 1000 companies in the U.S. that properly recycle IT equipment. Our IT asset recovery specialists provide a fair pricing for your surplus hardware. Cal now to inquire about disposition services for your organization: We can buy your equipment straight out. Used Cisco, Foundry, EMC, Extreme, Juniper, Nortel, etc. Ciscp IP, Mitel, Inter-tel, Avaya, Lucent, Nortel, Panasonic, etc. We do NOT export used computers, or dump equipment in a landfill. Our recycling system keeps hazardous wastes out of landfills. We have joined the "Green Revolution". Reduce, reuse, and recycle!! Receive a fair quote on you used computer equipment with 24 hours. Upon agreement of sale, we can make arrangements to move equipment from any facility generally within two business days. We have the resources to serve clients anywhere in the United States with solutions for end-of-lease computer and network equipment to maximize capital return to safely and economically dispose of surplus computer equipment. Find out about our Cisco Asset Recovery Services. 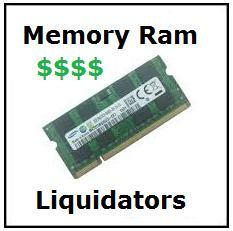 A-Z Computer Liquidation Services safely and responsibly manages your idle IT assets.